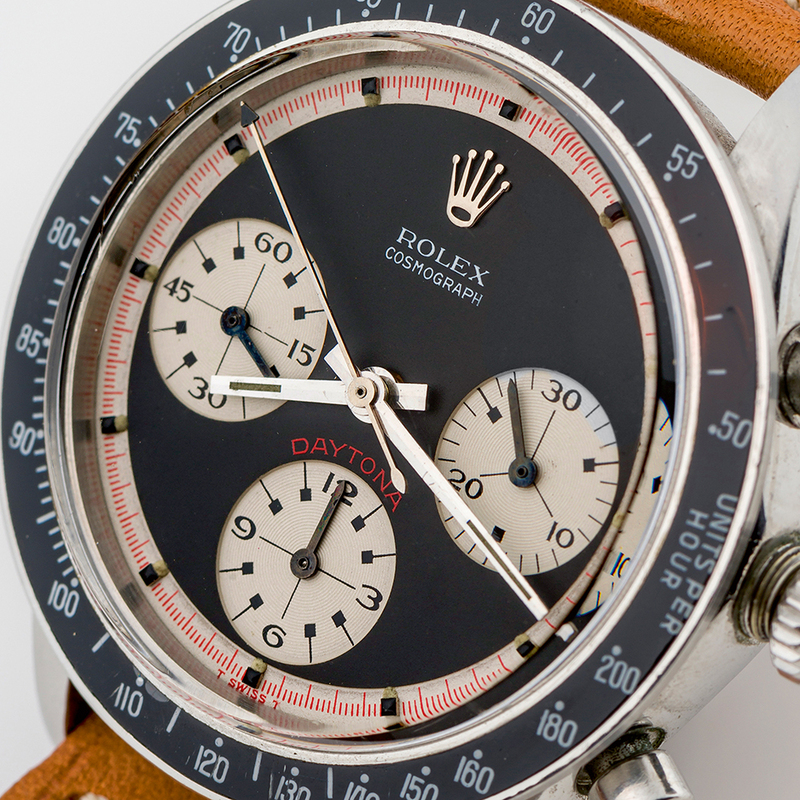 Antiquorum – in collaboration with Monaco Legend Group – is about to auction a bunch of vintage Rolex Daytonas in two of their upcoming auctions. 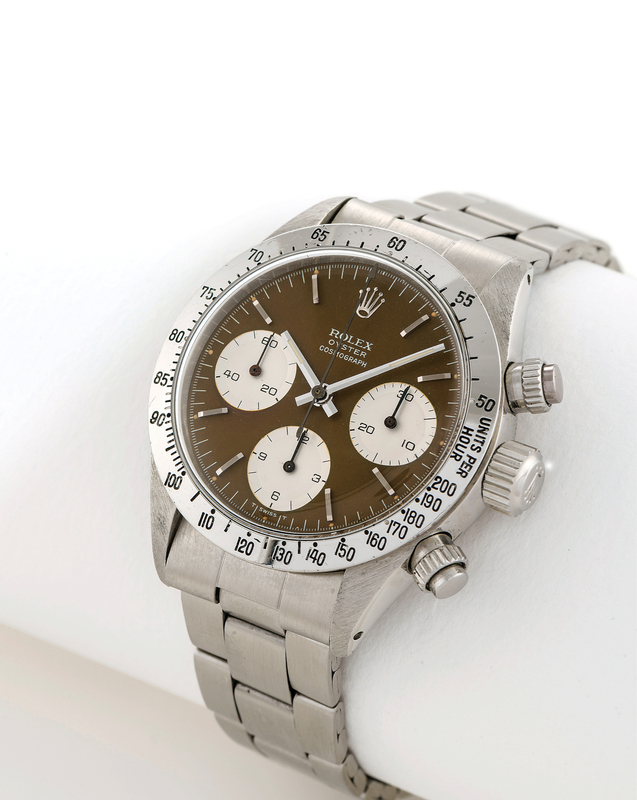 Rare Watches – Fine Jewels – Modern Art on July 17/18 and Auction Porsche 911 & Rolex Daytona on July 19, 2018. Both auctions will take place in Monaco. Several red flags went on after checking the Daytonas thoroughly with the data recorded in my database. Two watches are made-up with swapped dials, two are openly offered with fake parts and another two feature Paul Newman dials that are not period-correct, ergo made-up as well. Oh, and then there is also a very peculiar Submariner 5510. This FAP (Fuerza Aerea del Peru) Daytona features a sought-after Sigmal dial. The σ (Sigma) symbol left and right from the T SWISS T denomination at 6 o’clock refers to the application of white gold hour markers. Most FAP Daytonas in the case number proximity of this watch feature Sigma dials. The story goes that thanks to a great friendship between the Rolex Director for South America and a watch dealer in Peru’s capital Lima, Rolex managed to pitch a contract for delivering watches to the Peruvian Air Force (Fuerza Area del Peru) in the 1960s. Supplied were Daytonas, GMTs and also Submariners. In 1968, Peru was the first Latin American country to introduce supersonic fighter jets (Dassault Mirage 5P). The interesting thing is that this very watch was auctioned by Antiquorum only four years ago. Antiquorum has changed ownership since then but their watch database includes all watches from the old Antiquorum. As a matter of fact, Antiquorum has changed ownership countless times. Whenever on the brink of bankruptcy, Antiquorum somehow managed to survive by swiftly changing ownership while getting rid of accumulated debt in the process and leaving previous investors empty-handed. However, back in 2014, the very same Daytona had a different dial in it. The watch was offered with a tropical Oyster dial. According to Antiquorum’s watch database, the watch was not sold. A comparison between the two pictures shows that they are indeed one and the same watch. 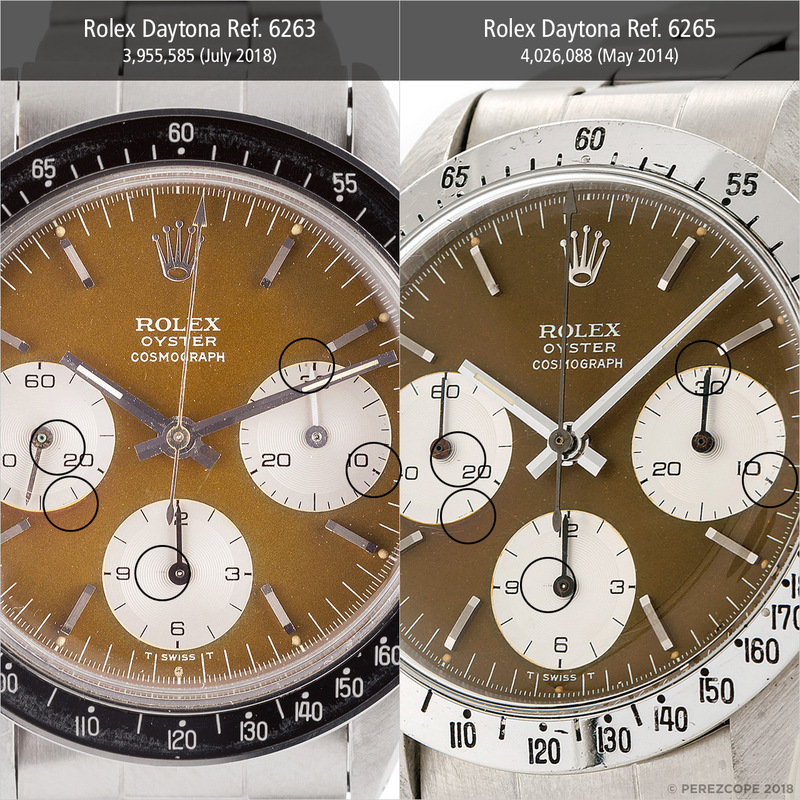 An interesting observation is that all FAP Daytonas from FAP batches before and after this watch have Sigma dials. 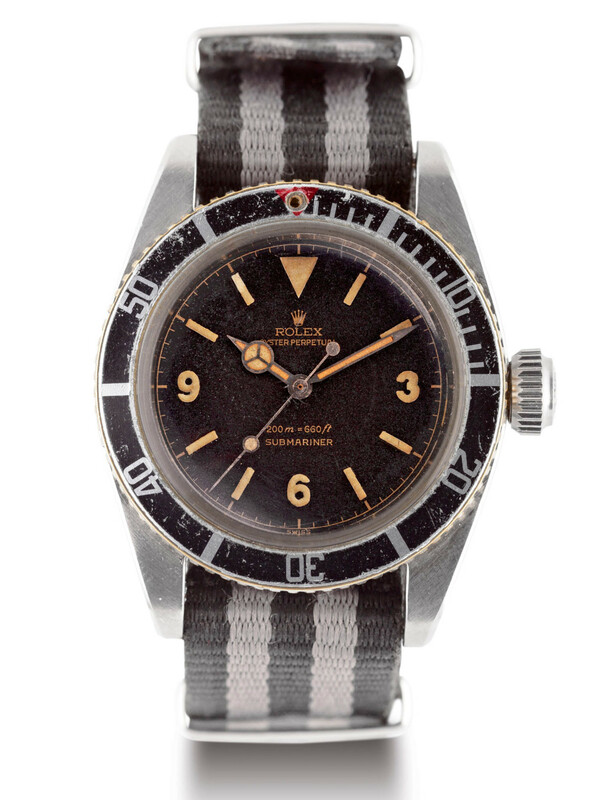 It could be argued that this watch was simply restored to original condition with a period-correct Sigma dial. If this is the case, the question that arises is why did in 2014 the watch have a wrong tropical dial in the first place? Cal. 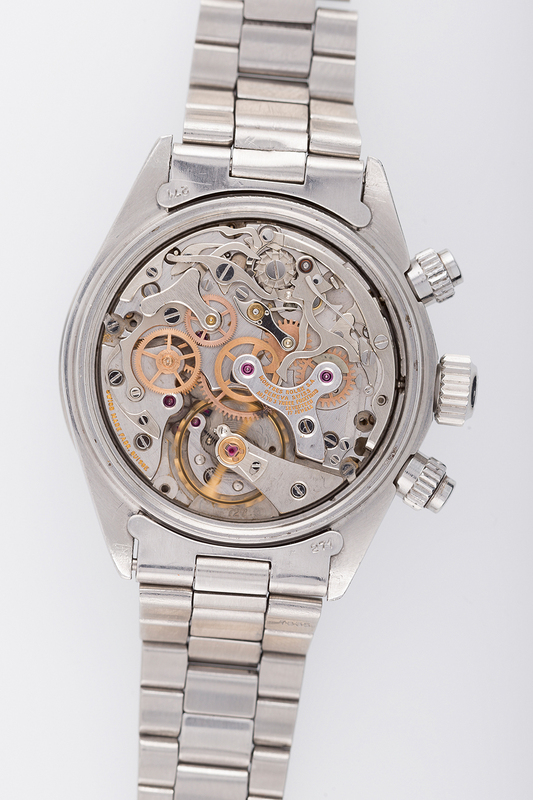 727 movement with correct 5-liner chronograph bridge. 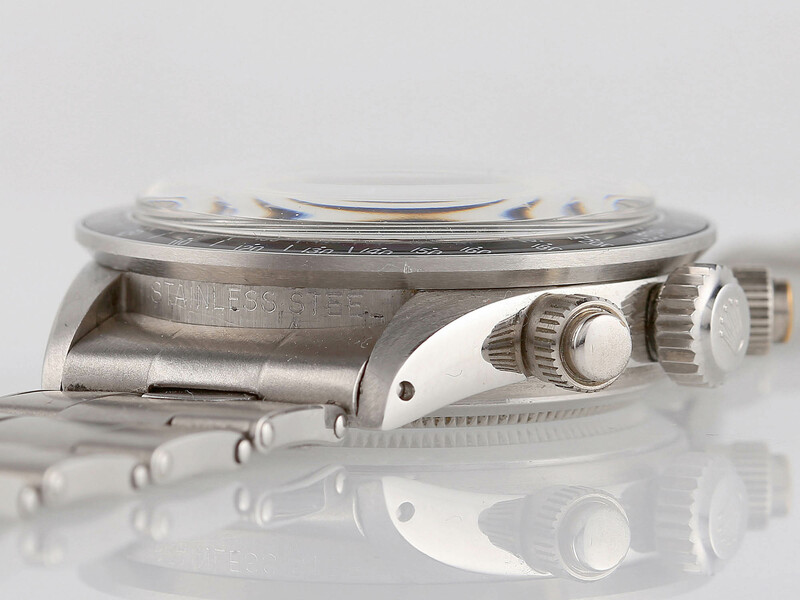 FAP watches have distinctive “Fuerza Aerea del Peru” engravings on the outside of the caseback. 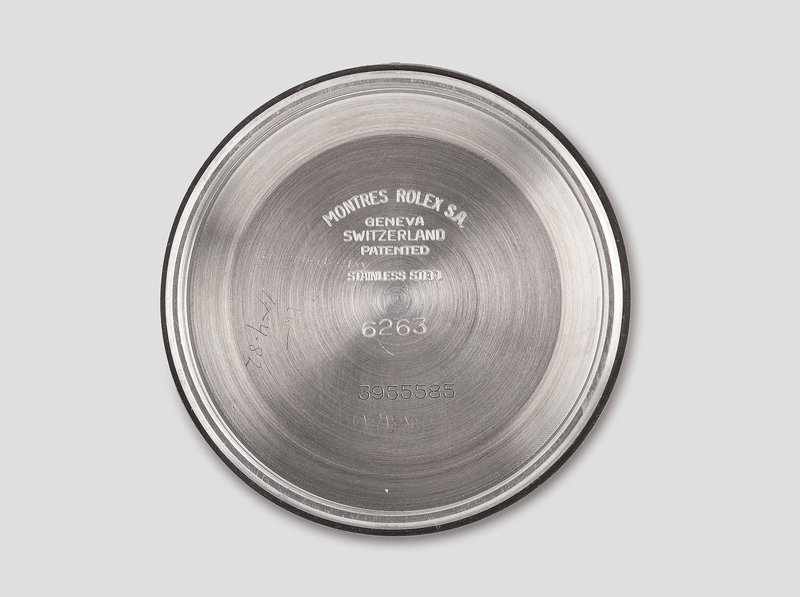 As usual for issued watches or special orders, Rolex additionally engraved the case number on the inside of the caseback. Interestingly, Antiquorum didn’t provide caseback pictures of this watch. Considering there are two other FAP Daytonas for sale at Antiquorum and both watches are listed with said pictures of the caseback, the lack of pictures in this case is a bit strange. However, FAP watches were made in batches. This watch is outside the usual range for Fuerza Aerea del Peru Daytonas. There is one batch in the area of 4018000 and another batch around 4049000. This watch has case number 4026088. Is this a proper FAP Daytona or is something wrong with it? Without high-resolution pictures of the caseback it is difficult to say but the controversy of this watch does not end here. Nope, there is one more thing! What happened to the brown dial that was installed in this watch in May 2014? 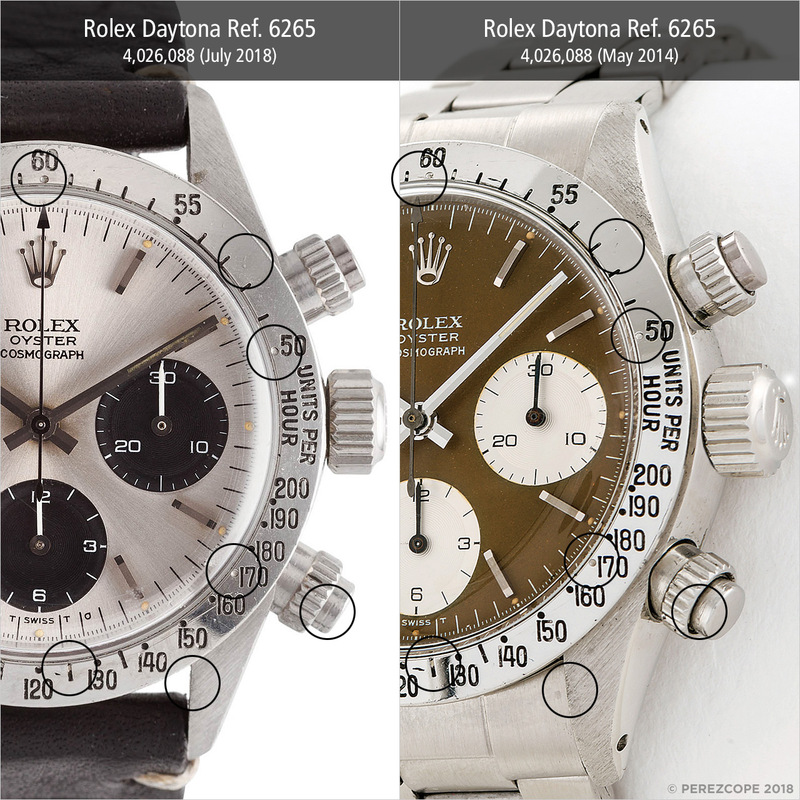 The answer is simple, the brown dial was transferred to LOT 12 of Antiquorum’s Porsche 911 & Rolex Daytona auction on July 19, 2018. Let’s have a closer look at that lot, shall we? 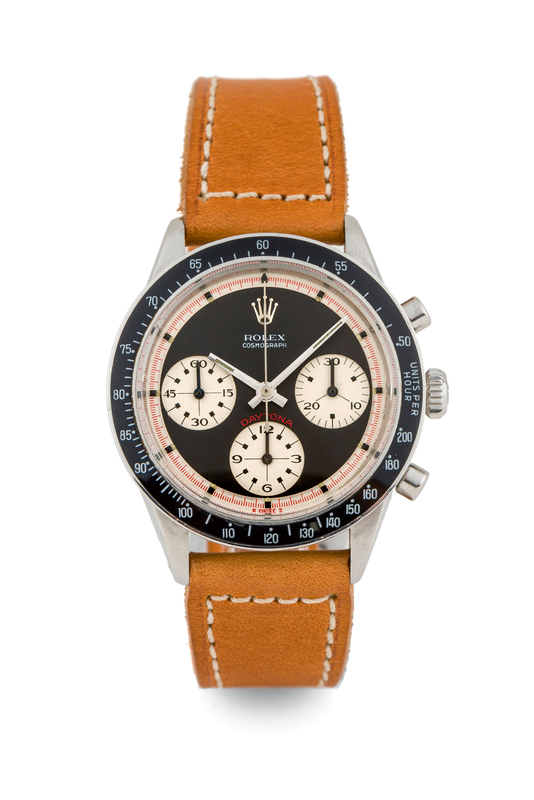 This Daytona features a stunning “tropical” dial, a dial that has a striking resemblance to the tropical dial which was installed in case number 4026088 in 2014. Let’s have a closer look. Here is a comparison of the dials. Both dials have very distinctive markings on the subdials which absolutely match each other. There is no doubt that this is exact the same tropical dial. By looking at the comparison above, one could also get the impression that the dial was tampered with to make it look more “tropical”. Maybe it is just the light. Another thing to take into consideration are the peculiar brownish stains around the edges of the subdials. What are those stains? 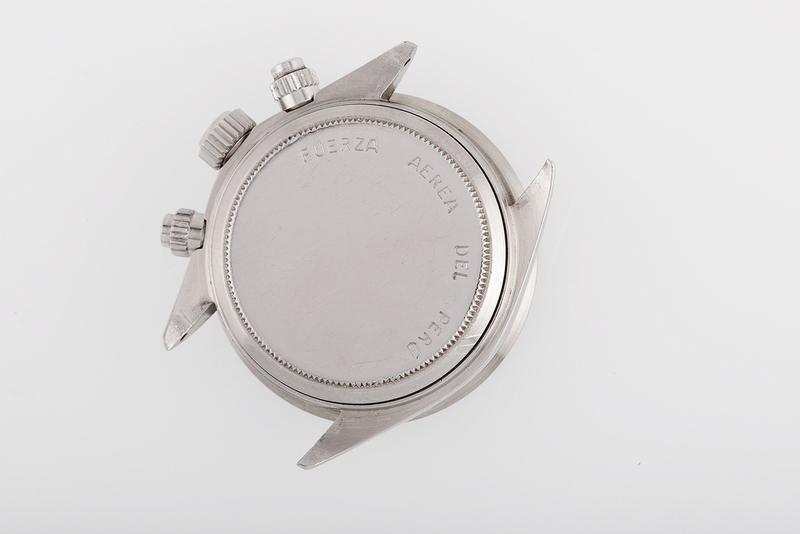 The caseback of this watch with typical “Fuerza Aerea del Peru” engravings on the outside of the caseback. And the usual Rolex hallmarks plus additional case number engravings. The case number is very poorly engraved. 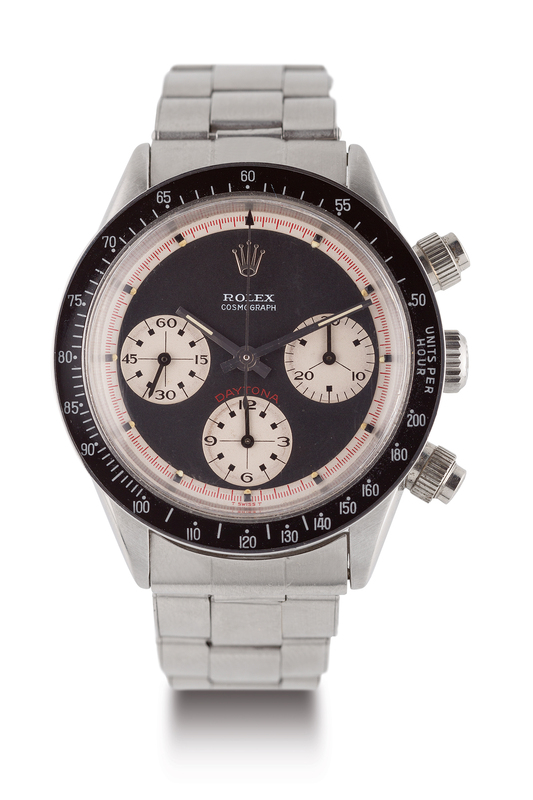 It is interesting to note that this watch is outside the usual range of FAP Daytonas as well. The next picture shows the movement of the watch in question. This type of Cal. 727 is consistent with the case number range. It was interesting to learn how dials can change from one watch to another to make them more attractive for collectors. The fact that Antiquorum did not provide pictures of the caseback for the first watch in question is a bit suspicious, considering the watch is outside the usual case number range for FAP Daytonas. Add the swapped dial to make the watch look more legit within the FAB family and you get an idea what this watch could be all about. 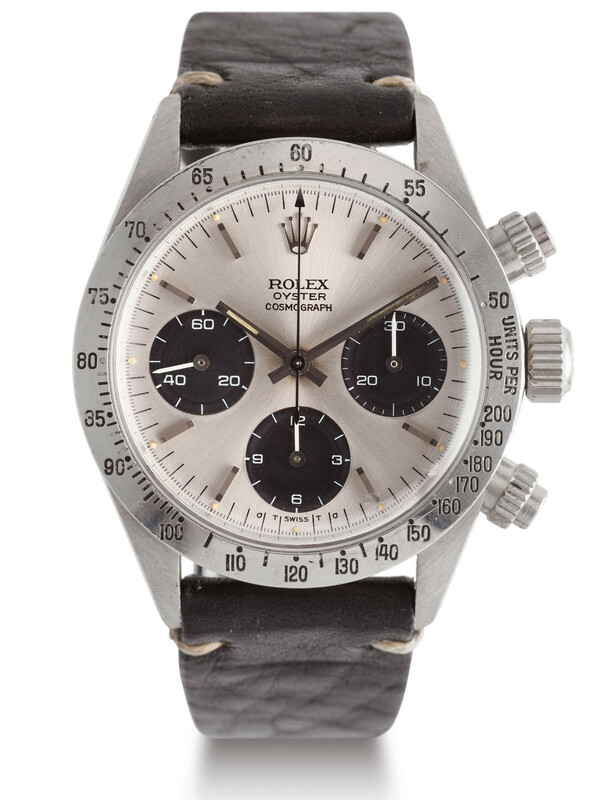 The second watch is also outside the usual case number range for FAP Daytonas. The case number engravings on the inside of the caseback are very poor but maybe the engraver just had a bad day. However, I think what we have seen here speaks for itself. A simple case number search within their own database could have avoided this mess. Ref. 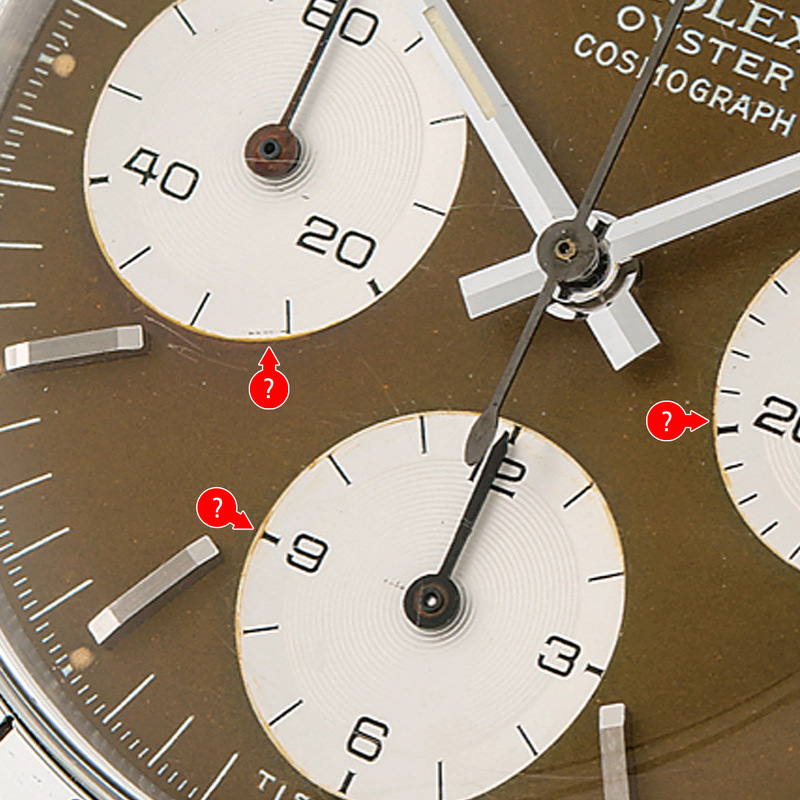 6240 was the first Daytona model to incorporate the iconic screw-down pushers. The pushers on this watch are the earliest version, so-called “Millerighe” (thousand lines). With case number 1297606, the present watch belongs to the very first batch of Ref. 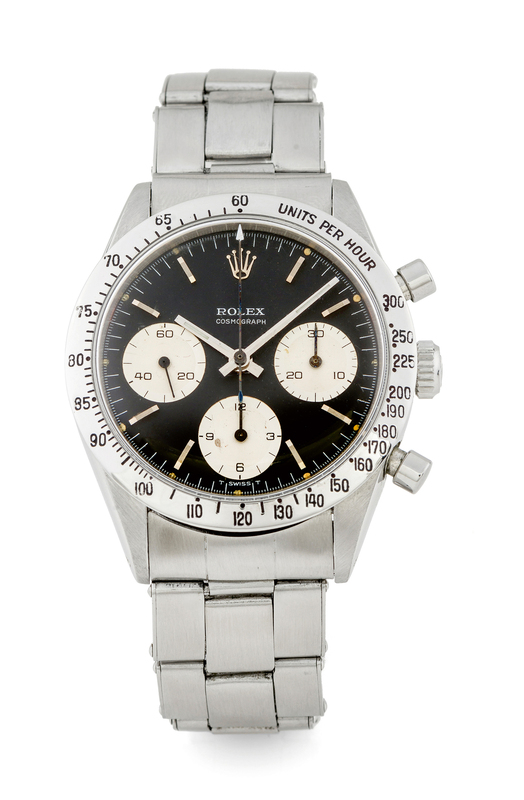 6240, made in a time when Paul Newman dials where not yet available. The black acrylic bezel appears to be a service part. As mentioned in the title, Antiquorum openly offers this watch with a non-original Paul Newman dial without step for the minute track, or simply put a fake dial. 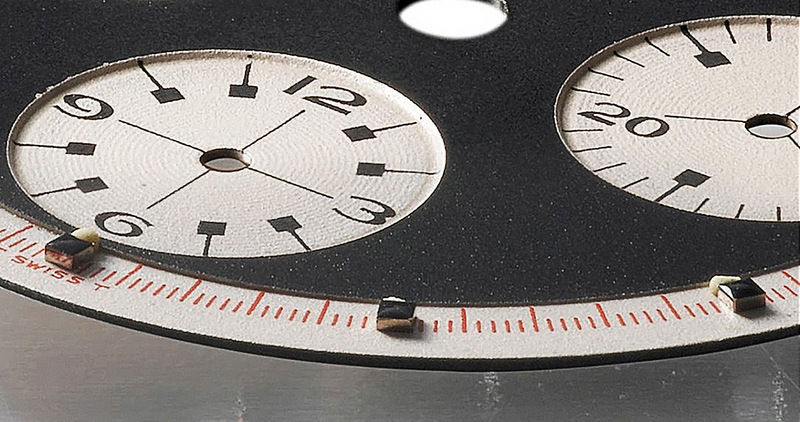 The next picture shows how an original Paul Newman dial should look like. Can you see the small step between the minute track and the rest of the dial? Fake dials should be destroyed in my opinion and not be put back into circulation. 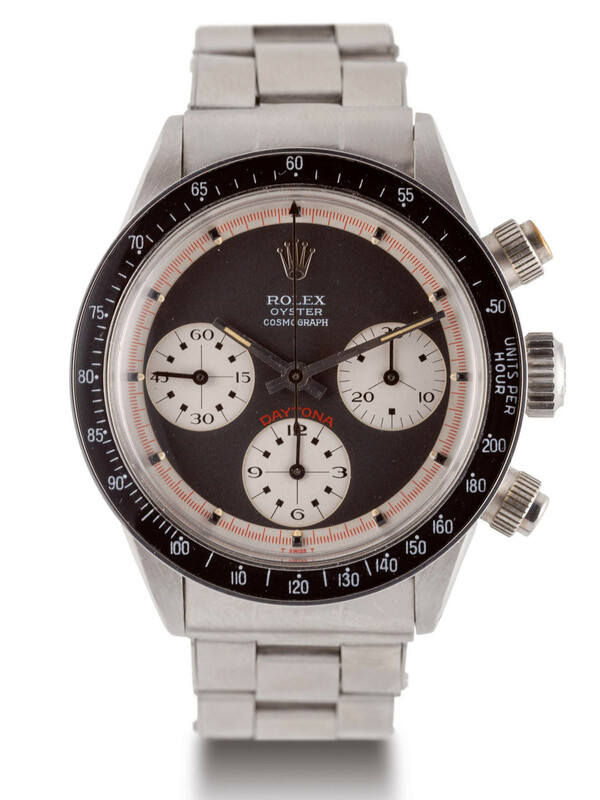 The fake Paul Newman dial of this watch was originally made to scam collectors and it is beyond anyones control where it will end up once the watch is sold. In addition to keeping fake parts in the market, Antiquorum came up with a fantastic story about the provenenance of this fake dial. Antiquorum is basically claiming this dial was made by the original dial manufacturer Jean Singer & Cie SA who also made the original dials. I have never heard of this, have you? Non-step dials are actually so-called “Texas” or “Mayer” dials, made by a Dallas-based watch dealer named DeMesy. Singer has absolutely nothing to do with the production of fake dials as far as I know and it is simply inexplicable how Antiquorum could come up with this nonsense. Update July 18, 2018: According to feedback I received, the Millerighe screw-down pushers of this watch could be fake as well. The story that Singer produced these dials in the 1990s is truly comical. It is beyond my understanding how an auction house can feel comfortable in their own skin with proliferating counterfeits. Fake parts should be destroyed, without exception. 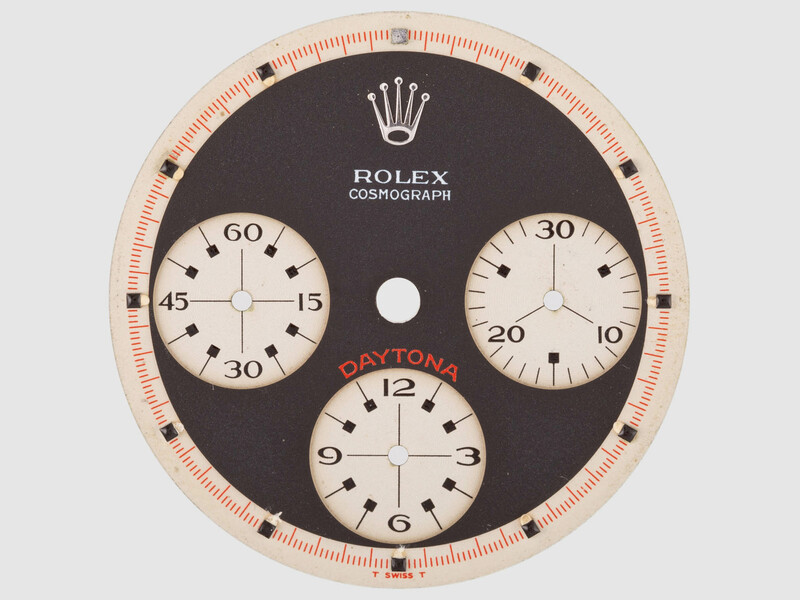 The next Daytona is equipped with waht appears to be a black service dial but more interesting is the fact that it comes with a second dial, a fake non-step Paul Newman dial. Again, it is inexplicable why a serious auction house would try to keep fake parts in the market. Here is a picture of the fake dial. The graphics are wrong and the minute track has no step. 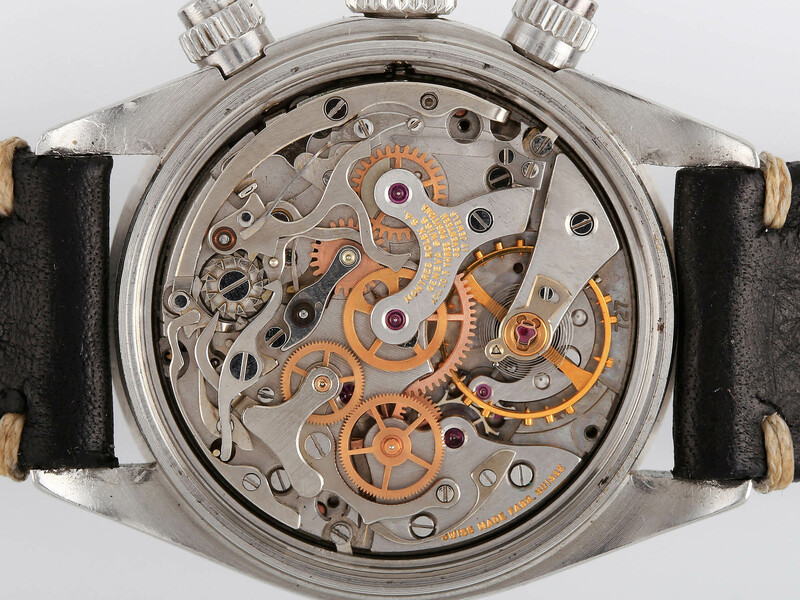 It is interesting to note that the movement is described as Cal. 72B but the image shows the Cal. 727 of LOT 348A. It is difficult to understand why a serious auction house whould try to keep fake dials in circulation. Life is short and there is so much to learn. Early Paul Newman dial with distictive “Sing-a-Song” T SWISS T denomination from the first Paul Newman dial batch. 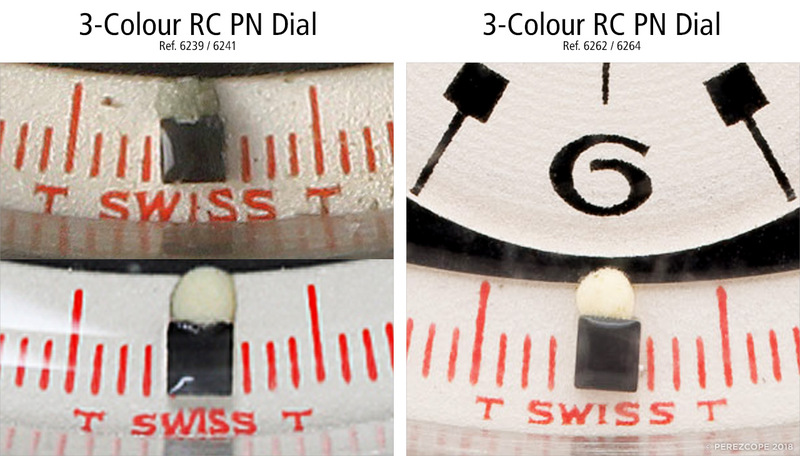 The follwing comparison shows the different T SWISS T prints on black 3-colour Paul Newman dials over the course of time. It would be interesting to see how this watch looked before a Paul Newman dial was installed. Perhaps, with the necessary effort, this watch could be restored to original condition. This watch is advertised as having a “Floating” dial but in reality, it appears to have a service dial. This dial is most certainly a service dial and should be declared as such. As mentioned above, Ref. 6240 was the first Daytona to incorporate screw-down pushers. 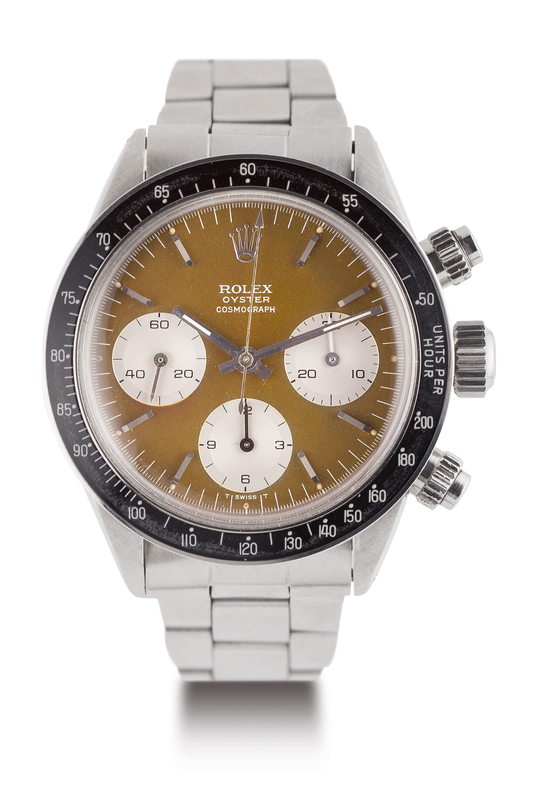 This 6240 comes with an at first glimpse attractive Paul Newman dial and sought-after “Millerighe” screw-down pushers. However, this Paul Newman dial does not belong to this watch. It is a later Paul Newman dial made for Ref. 6262/6264. Later dials are quite easy to detect by looking at the distinct T SWISS T print at 6 o’clock. Early dials have a letter design that is referred to as “Pyramid” while later dials have a flat print. 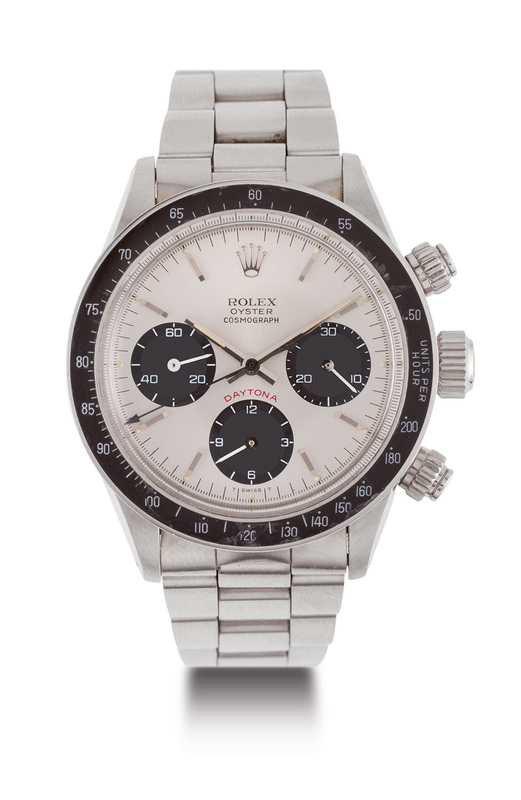 This last case shows how simple it was back in the day to get a premium for a “regular” Daytona by just swapping the original dial for a sought-after Paul Newman dial. Scholarship has come a long way since then and cases like this are easy to spot. Oh! One more thing. There is also this Submariner Ref. 5510 for sale. This Submariner Ref. 5510 has a re-printed dial according to Antiquorum. Well, actually it is just a fake dial that can be bought on the web. What they don’t mention is that this watch also has an obviously fake 8mm Big Crown and a weird bezel insert that simply doesn’t belong to this reference. My feeling is that this is a completely fake Submariner that perhaps houses an original Cal. 1530 movement. Antiquorum did not provide pictures of the movement or caseback. There seem to be many more of these strange watches for sale. Beware! That’s it for now. Please do not hesitate to comment and share your thoughts at the end of the page. If you have any question please use the comment function to get in touch with me. Comments are only displayed after approval. Make sure you follow me on Instagram. Great finding, thanks for your wrok and for sharing it with the community. Just one additional detail form LOT 307, Antiquorum is describing the Daytona with the first and only automatic Val 722 :). 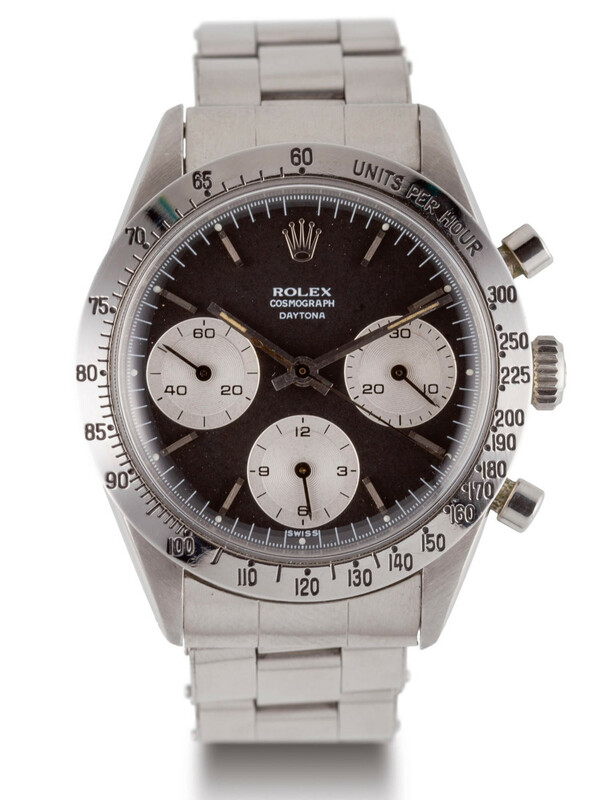 Quoted form its web page: “ROLEX – DAYTONA NON ORIGINAL PAUL NEWMAN “NO STEP” STEEL Fine and very rare stainless steel “””self-winding””” chronograph wristwatch”. It’s just a typo error, but it just shows how little care they put even in their page. Why are the police not involved? Holy moley great work dissecting all these! I share your curiosity on why a serious auction house would do this – would be the money I am guessing. Beware buying vintage tonas, Subs, or other sport models from auction houses (usually because they do not have any real doctrine in watch History, they buy lots and never study the pieces deeply), and beware from other claimed “famous” and “professional”sellers. I heard too many bad stories about that. Pay attention, watch collectors! For example there are very good books on Daytona’s history, especially the ones edited by Pucci Papaleo, simply Bibles. First step look at these before thinking to spend lots money on Vintage.